The Eagle Vision and Eye Clinic is an optometry team that strives to give Longmont residents the best eye care possible. We do this by providing a number of eye care services that cover a range of medical conditions affecting the eyes. From the very get-go, our optometrist team will work diligently to analyze, diagnose and treat any eye problems with the best available option. So what are our services? At Eagle vision we offer a wide variety of contact lenses to correct refractive error such as nearsightedness, astigmatism or farsightedness. Different types of contact lenses include daily wear soft contacts, extended wear disposable, planned replacement, and rigid gas permeable lenses. We also specialize in fitting scleral lenses that can be life-changing for many of our patients with corneal irregularities due to high astigmatism, keratoconus, and corneal injuries or surgery. Here at Eagle Vision we can help you decide which kind of contacts best suit your needs following a contact lens exam. 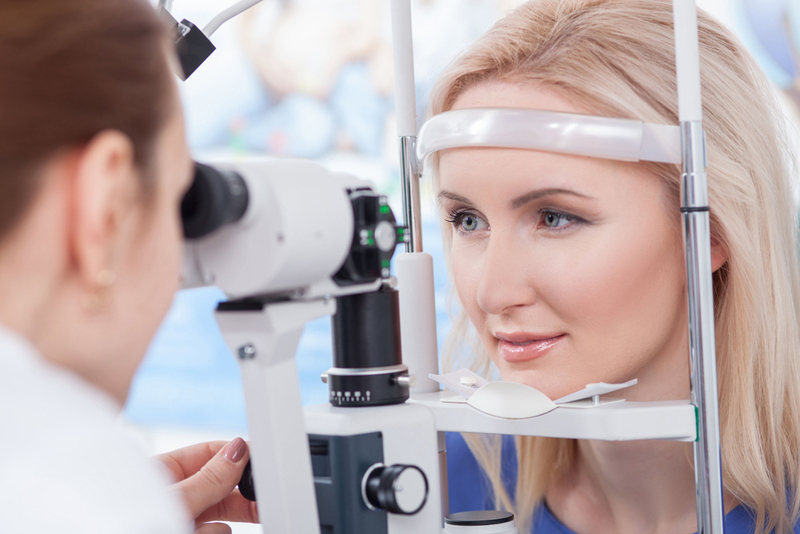 Our staff is capable of performing a variety of eye exams, including annual and bi-annual routine exams. If you are experiencing vision problems, we can perform a visual exam that tests the health and acuity of your vision. If you are having problems with eye functionality, we can assess perception, color accuracy, peripheral accuracy, light responsiveness, and eye muscle strength. The optometrist can also check the inner structures of your eye, like the eyelid, pupils or lens. Our optometrist use vision therapy exercises to help develop eye fixation, movement, focusing, aiming, visual perception, and hand-eye coordination. Vision therapy helps patients with various conditions, including ADD, ADHD, visual and ocular motor disorders, binocular dysfunctions, amblypoia, and much more. Vision therapy can help with everything from learning more effectively to better driving and even sports performance. LASIK is a common surgery that effectively treats a number of eye conditions, including near-sightedness, far-sightedness, and astigmatism. Once the doctor determines whether you are a good candidate for LASIK, he or she will prepare you for the surgery. Once you are scheduled, you will be operated on and then advised for postoperative counseling. Pediatric ophthalmology is a field that specializes in providing eye care to children. Kids tend to require specialized care to cover their medical problems. If your child has an eye problem, learning disability, ADD, autism, color blindness, or any other kind of eye-related ailment, we can help. Our staff is trained to evaluate and treat kids with specific care. We live in a society that requires many people to sit in front of computer screens almost all day. As a result, we are seeing an epidemic of people with visual problems like blurriness, eye strain, and itchiness eyes. Our staff is capable of treating people whose vision suffers as a result of computer eye strain. Have any questions or comments about our offered services? Call Evec at 303-651-2020 for more information.